There is a new report by PEN American Center demonstrating the damaging impact of surveillance by the United States and other governments on free expression and creative freedom around the world. The report’s revelations, based on a survey of nearly 800 writers worldwide, are alarming. Concern about surveillance is now nearly as high among writers living in democracies (75%) as among those living in non-democracies (80%). The levels of self-censorship reported by writers living in democratic countries are approaching the levels reported by writers living in authoritarian or semi-democratic countries. And writers around the world think that mass surveillance has significantly damaged U.S. credibility as a global champion of free expression for the long term. On the basis of the survey findings, PEN AMERICA urges the newly seated U.S. Congress to put reform of mass surveillance programs that violate constitutional and international human rights at the top of its to-do list. The Pen document ends with recommendations that the US government stops dragnet monitoring and the collection of US citizen’s communications. It also advises that collection of digital metadata be suspended and advises greater judicial, legislative and executive oversight of US intelligence agency programs. It also pointed out that the US has to respect the privacy and rights to free expression of foreign citizens either in or out of the US. “As the United Nations has repeatedly stated, the International Covenant on Civil and Political Rights, to which the US is a party, requires it to respect the human rights to privacy and free expression of all individuals affected by its surveillance programs,” the report says. 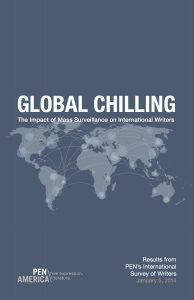 From August 28 to October 15, 2014, PEN American Center carried out an international survey of writers, to investigate how government surveillance influences their thinking, research, and writing, as well as their views of government surveillance by the U.S. and its impact around the world. The survey instrument was developed and overseen by the nonpartisan expert survey research firm The FDR Group. The survey yielded 772 responses from writers living in 50 countries. This report summarizes the survey findings that are most relevant to the current debate in the U.S. on the future of mass surveillance programs. 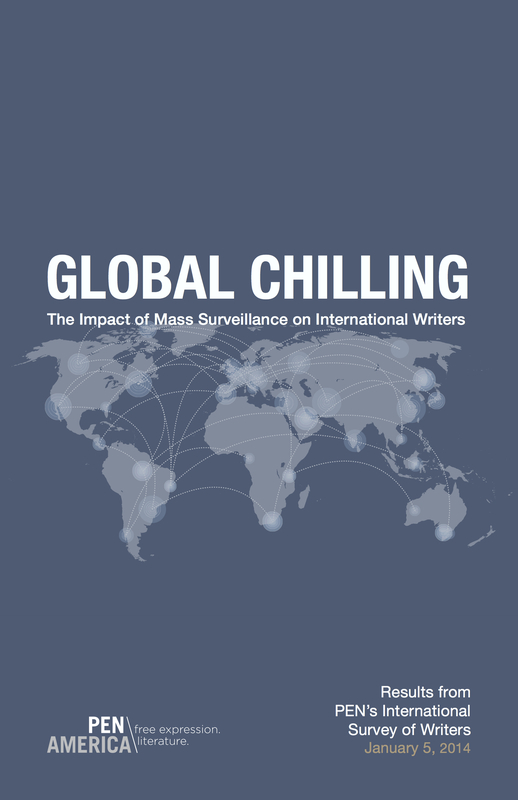 A full report from writers around the world will be issued in the spring of 2015. As writers are considered to be the “canaries in the coalmine” therefore they are likely to give an accurate picture of the impact of surveillance on privacy and freedom of expression. PEN American Center is the largest branch of PEN International. PEN works in more than 100 countries to protect free expression and to defend writers and journalists who are imprisoned, threatened, persecuted, or attacked in the course of their profession.